Stopping on the side of a major highway is not easy, especially when you are close to an on ramp. So, when I noticed the box spring, we go up to the next exit and turn around. 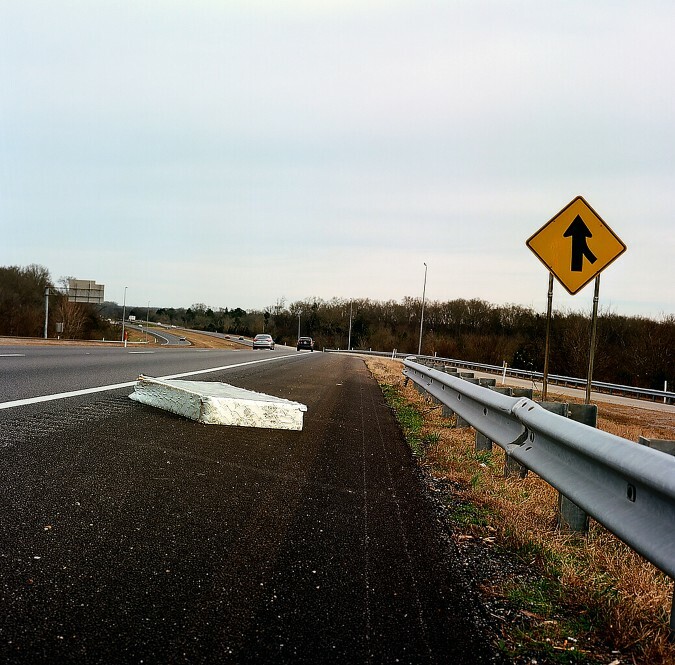 As we do, I see the accompanying mattress in the median. The winds whip around as I step out of the car to get a closer look. The box spring looks in relatively good condition, despite damage sustained when hitting the ground at speed. Could this have been a deliberate dump or did it accidentally fall from a moving vehicle? Where were the people heading? Were they simply moving the mattress locally or heading to a new life somewhere?